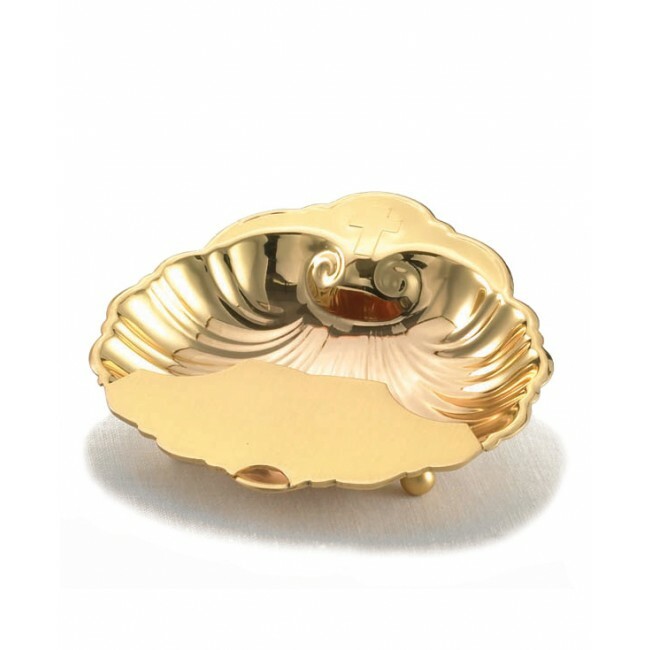 Gold plate baptismal shell. Diameter 5", with finger ring and pouring shield. Deluxe gold plate Baptismal Shell makes a beautiful Christening keepsake gift, that can be passed down for generations. Has a pouring shield, preventing water splatter and finger ring in back for secure holding. Can be personalized with custom engraving. Engraving available, maximum 20 letters for $20.00 additional letters, please add $ 1.00 each.